Although it has been several months since Hurricane Harvey struck, thousands of Texas are still struggling to put their lives back together. The storm caused massive amounts of damage along the Texas coast and around the Houston area. 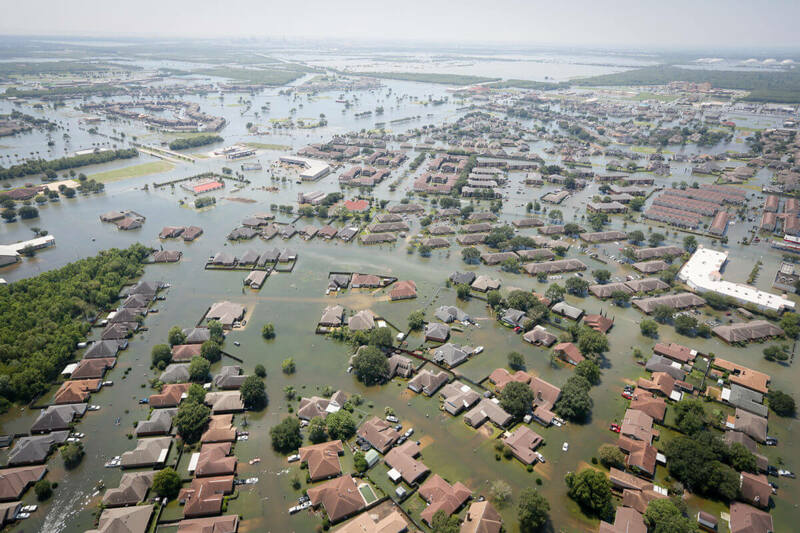 Although the total cost of damages caused by Harvey may never be known, some forecasters are predicting the cost of Hurricane Harvey could end up being billions in economic damages. Hurricane Harvey was the most powerful hurricane to hit Texas in more than 50 years, and parts of Houston received over 50 inches of rain. After the hurricane made landfall in late August, it displaced more than 1 million people and damaged hundreds of thousands of businesses. In all, Harvey’s path of destruction stretched for over 300 miles. 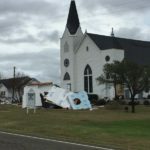 Texas Governor Greg Abbott estimated the total cost of damages caused by the storm ranges between $150 billion and $180 billion. This doesn’t take into account the long-term economic losses many businesses and homeowners will face. Businesses that have flooded cannot continue operation, resulting in lost revenue when they need it the most. Unfortunately for homeowners, flood damage can have a permanent and damaging effect on home values. Many homeowners will have to pay tens or hundreds of thousands of dollars to make their homes habitable again, but there’s no guarantee they will ever make their money back if they decide to sell. Small business owners, which form the economic engine of our state, also have a long road ahead as they struggle to repair property and make up for the business interruption sustained during Harvey. Investment owners of real estate are working to understand and quantify the diminution in value to their real estate assets. The rainfall dropped by Hurricane Harvey was deemed a 1 in 1,000 year flood event. Any 1 in 1,000 year flood event only has a 0.1% chance of occurring in any given year. 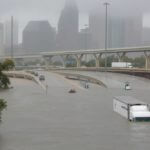 This means the rainfall caused by Harvey was truly unprecedented, and the sheer weight of the rainfall actually caused Houston to sink 2 centimeters in elevation. Whenever there is widespread property damage, insurance companies and responsible parties will do everything in their power to limit liability and minimize claims. If you suffered damage as a result of Harvey, whether the Addicks and Barker dam releases flooded your property or if your property is located in the reservoirs’ floodplains, or if you are experiencing improper delays or denials from an insurance company contractually obligated to pay for this damage, you likely have many questions. At Raizner Slania LLP, we can analyze your situation and help you understand your legal options. We have extensive experience with property claims and we are actively working with many Houstonians pursuing several different types of claims. Contact us today to schedule a free consultation to discuss your case. There is no upfront cost for working with us. We work on a contingency fee basis so you will not owe us anything unless we help you recover compensation.